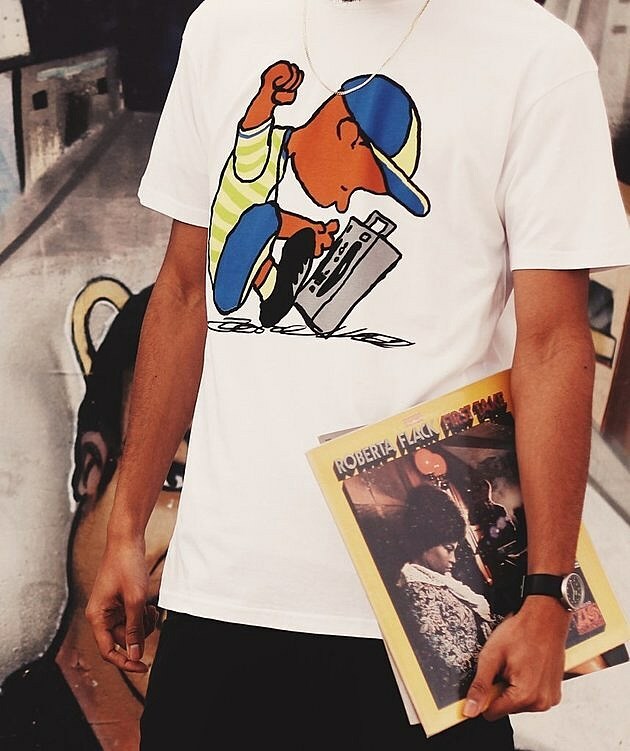 Rapper Nas honors Black History Month and shows his devotion to black youth through the launch of his new clothing collection. Back in November he launched a line of ugly Christmas sweaters in support of prison reform. Both collections were produced by his clothing brand HSTRY. 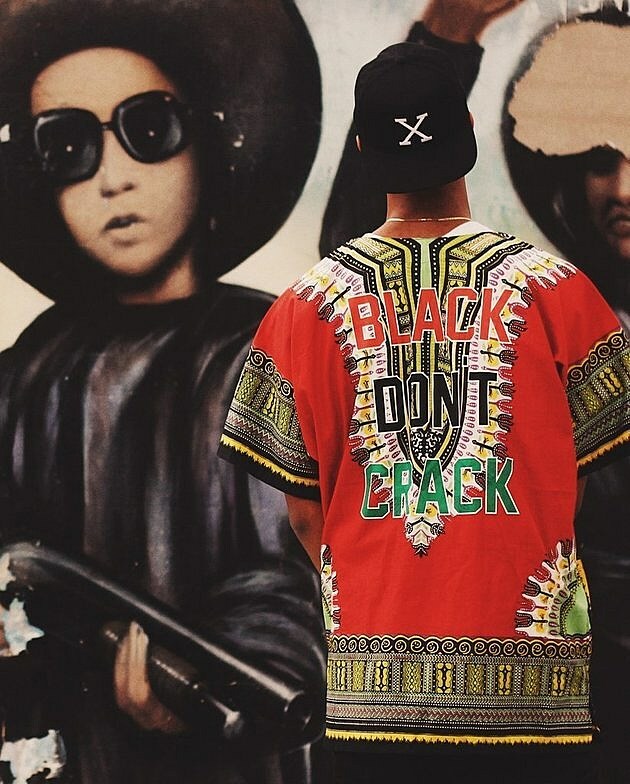 The street wear collection features graphic t-shirts, sweat shirts, dashikis, and accessories designed with written slogans “Black Don’t Crack”, “Know Your History”, and “I’m Black and I’m Proud”. 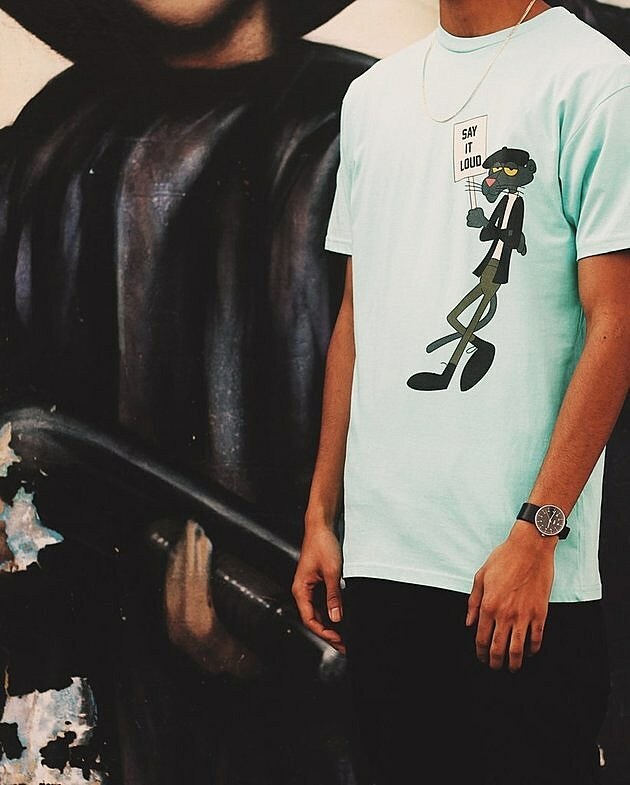 In relation to the kids, the t-shirts feature pro black versions of cartoon characters from Charlie Brown, The Simpsons, and The Pink Panther. A portion of each sale will go in donation to the National Black Child Development Institute. Nas tells the Huffington Post “I used to low-key cringe when Black History Month came around. It felt like a slap in face with all the Hell we catch daily… Like a small reward for a dog’s good behavior, then back to the kennel. But I’ll take it. I’ll take what I can get and that’s all I need to go to new heights.” Well, Nas is definitely pushing forward in the right direction. Check out the full collection here.